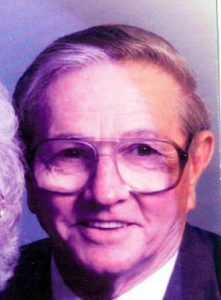 Funeral services for Reverend Bert Eli Abney, 84, West Plains, Missouri, will be held at 2:00 p.m., Monday, January 21, 2019 at Cornerstone Church, under the direction of Robertson-Drago Funeral Home. Reverend Abney passed away at 11:44 p.m., Wednesday, January 16, 2019 at NHC Healthcare. He was born May 22, 1934, at West Plains, Missouri, to John Asberry Abney and Reverend Anna T. Mask Abney. On October 18, 1952, he was married at Salem, Arkansas, to the love of his life, Georgia Ann Alsup. He spent the next 56 years showing her his love. Eli and Georgia had five children in those years and were blessed with 17 grandchildren, 20 great-grandchildren and 3 great-great-grandbabies with two more coming later this year. Bert or Eli as most knew him, pastored many churches and preached many revivals during his years in the ministry. Eli always had a burden for the youth and spent many Sunday afternoons playing basketball, football and softball with them and inspired so many to become men and women of God. His legacy goes through many generations. He is survived by four children, Cecil Abney and wife, Sandy, West Plains, Sandra May, West Plains, Tamera Agee and husband, Timothy, West Plains and Gregory Abney and wife, Heather, Mountain View, Missouri; one sister, Janice Foster and husband, Reverend Carmen Foster, Greenbriar, Arkansas; one sister-in-law, May Shelton, Green Forest, Arkansas; special niece, Shirley Law and husband, Terry, West Plains; and multiple nieces, nephews, cousins and his family at NHC Healthcare. His parents, the love of his life, Georgia Abney, one infant daughter, Rebecca Ann Abney, one grandson, Robert Michael Grogan, one great-granddaughter, Larisa Nicole Wilder, three sisters, Mary Bragg, Melvina Pankey and Ellen Bragg and one brother, John “Cleo” Abney, preceded him in death. Visitation will be held from 6:00 until 8:00 p.m., Sunday, in the Langston Street Chapel of Robertson-Drago Funeral Home. Burial will be in the Howell Valley Cemetery. Memorial contributions may be made to Alzheimer’s Association or St. Louis Children’s Hospital and may be left at Robertson-Drago Funeral Home. Our deepest condolences to the Abney Family. We were sad to hear the news of his passing but we know what great reward and joy awaited him as he entered Heaven’s portal. May you be comforted by the Spirit of God knowing that Bro. Abney is safely home. All our love and prayers for your family. We treasure the memories of Bro and Sis. Abney in our hearts and we know that we would never have become who we are without their ministry so deeply affecting our lives. Just want to tell you all how sorry i am for your loss of mr. Abney. I enjoyed talking with him when i would see him. Just t hink how big a happy reunion there was with your mom. What a happy day of rejoicing it was. All the apwcial memories everyone has from this sweet man. God bless you all in your time of sorrow. Our thoughts and prayers are with you during this time. I know he is rejoicing on his homecoming!